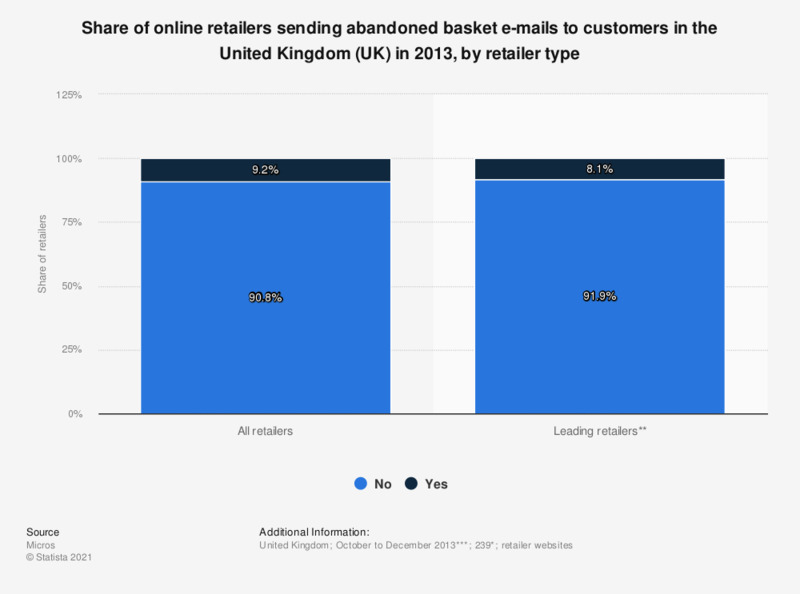 This statistic displays the share of UK online retailers in 2013 sending abandoned basket e-mails to customers, by retailer size. Of all retailers investigated, 9.2 percent sent e-mails to customers to remind them of items left in online shopping baskets. ** Includes online retailers on the IMRG-Experian Hitwise Hot-Shops List. The list is a key indicator of online merchant performance, ranking online retailers by websites visits. It excludes eBay and price aggregator websites.